His government will wind down all green programs funded through the system. 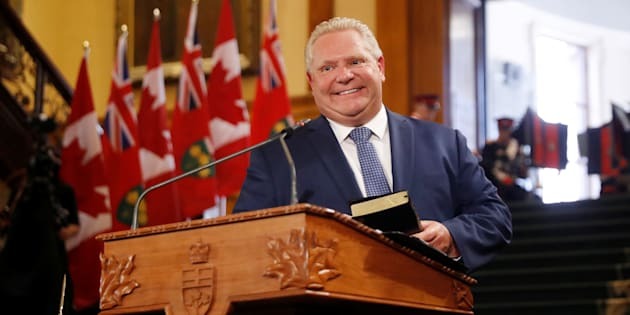 Doug Ford is sworn in as premier of Ontario during a ceremony at Queen's Park in Toronto on June 29, 2018. TORONTO — Ontario's new premier has taken a step in his plan to dismantle the province's cap-and-trade system, a move some observers say leaves businesses involved in the program grappling with uncertainty. Some rebates for energy-efficient renovations that were financed through cap-and-trade revenues — such as the GreenON rebate program — were already being phased out before Ford officially took office last week.